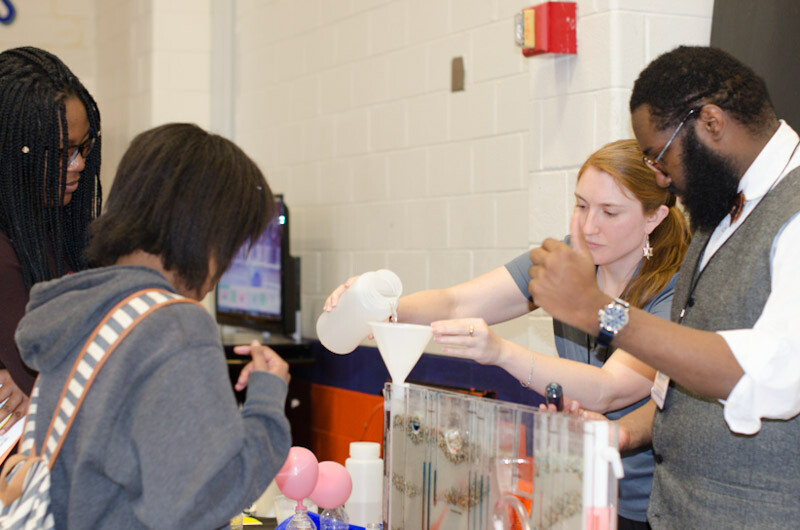 Each year, SSEF presents an Annual STEAM Showcase for the 11 Sandy Springs public schools and the community. The next STEAM Showcase will be on March 13, 2019 at North Springs Charter High School. During the day, high school and middle school students visit STEAM-focused exhibits geared to the curriculum. In the evening, visitors join community, business and civic leaders at this award-winning event. Learn more about the STEAM Showcase and access information about participating as a sponsor and exhibitor via this link. The Showcase is followed by STEAM outreach events, field trips and programs in our schools. SSEF twice received the Georgia STEM Award for Extracurricular Programs by the Technology Association of Georgia for this program. This program serves 2300 students at an annual cost per student of $5.00. 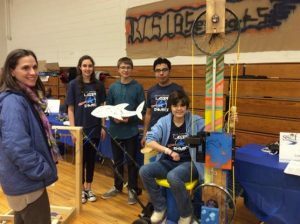 From the funds raised through STEAM Showcase sponsorships, SSEF offers STEAM grant opportunities to our schools for ongoing after-school STEAM clubs and programs. Grant recipients are expected to display their projects at the annual STEAM Showcase. In 2016-17, SSEF awarded a grant to each of our 11 public schools. This served 350 students at an annual cost of $40.00 per student. SSEF sponsors an annual math competition event sanctioned by Math Olympiads for Elementary and Middle Schools (MOEMS). 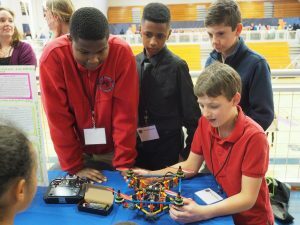 The 2017 inaugural competition was one of only three MOEMS elementary level tournaments held in Georgia schools this year. The "Hound Bowl," held at High Point Elementary School, involved 4th and 5th graders at High Point, Dunwoody Springs, Lake Forest, Spalding Drive and Woodland Charter Elementary Schools. 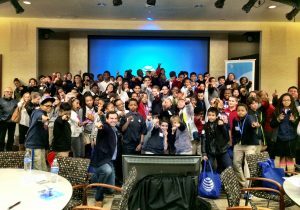 In the future, 6th graders at our middle schools will be invited to participate. 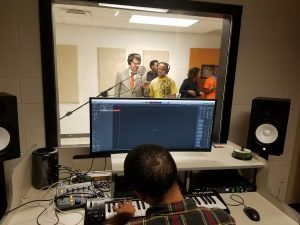 This program serves 55 students in 2017, at an annual cost per student of $45.00. STEAM Legacy Grants have been given since 2011. Click here for a complete list of all STEAM Legacy Grants SSEF has provided. The funds will be used to initiate an after-school STEAM Club. The club will enhance student understanding of the Next Generation Science Curriculum in grades 3 through 5 via hands-on activities, field trips, guest speakers and community involvement The club’s focus will augment the school curriculum with project-based learning opportunities for students and help expand the school’s participation in community-based initiatives. 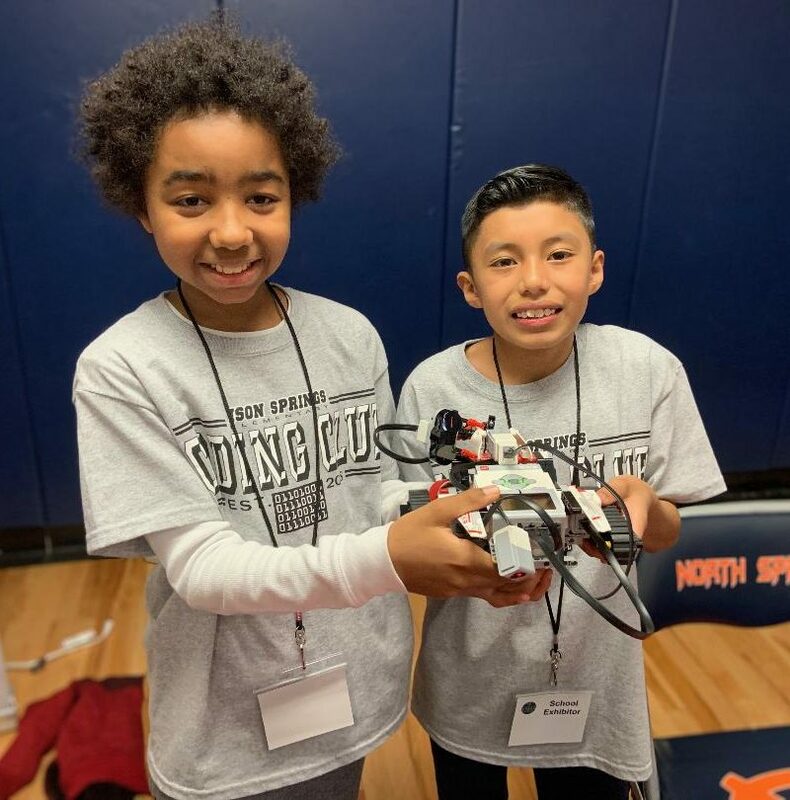 The club will work in close cooperation with the existing Drone Clubs at Dunwoody Springs Elementary and Sandy Springs Charter Middle School, as well as build a team to participate in the Math Hound Bowl, Science Olympiad and Fulton County Science Fair. Heards Ferry Elementary – Building Robots from Scratch! To expand on the first year success of the STEM Robotics Program, the grant funds will be used to change incorporate arts into STEM programs. Art and science will combine to create a curriculum that infuses art and creativity into building robots. Students in grades 3 through 5 will receive Hummingbird Robotics kits (along with Scratch as their programming tool) and will be challenged to make original pieces. The goal will also be to increase the number of students entering the county technology competition with their original projects. The grant funds will be used to continue an annual math competition event sanctioned by Math Olympiads for Elementary and Middle Schools (MOEMS). The 2018 “Hound Bowl,” entering its third year, will involve 4th, 5thand 6th-grade student teams from Sandy Springs elementary and middle schools. 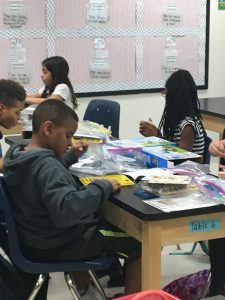 Students will increase their math proficiency through practice during the school year as they prepare for the rigor of the competition as individuals and as collaborative team members. 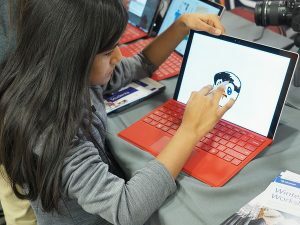 Grant funds will be used to support the after-school Coding Club where students in grades 3 through 5 will learn basic coding skills to lead robots through a set of tasks. 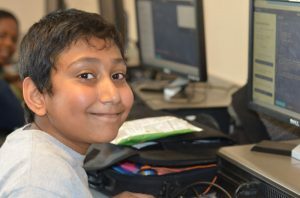 Students will learn how to use the software, practice computer skills and guide their robotic vehicles. Students will be immersed in inquiry-based and exploratory learning as part of the process, while also strengthening their collaborative work skills aligning with the school’s Project Based Learning (PBL) focus. The grant funds will be used to continue the after-school STEAM Club. 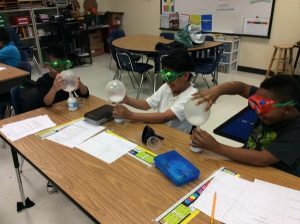 The club will enrich student understanding of the Next Generation Science Curriculum in grades 3 through 5 through hands-on activities, guest speakers, field trips and community involvement. The club will focus on inspiring student interest in STEM fields, develop STEM skills and create excitement about STEM careers. 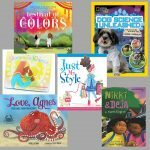 The grant funds will be used to continue STEAM after-school clubs for 4thand 5thgrade students. In the Coding Club, students will code Lego Mindstorm robots to move, make sounds and light up. In the Art Club, students will collaborate and create artwork to display at school and at the STEAM Showcase. The grant funds will also allow for the start of a new Drone Club where students will learn to code and fly drones through various obstacles. Students in grades 3 through 5 will learn about the various applications of drones and then apply that knowledge to program devices using the Tickle app on iPads. Students will complete various projects. For example, they will fly the drone over a disaster scene made of Lego structures to learn about the concepts of flight and disaster management. They will also use the drones to create high tech games, learn new math skills and learn about natural and technological science while sharpening estimation skills. Students will learn and reinforce content skills through interactive, hands-on projects while solving real-world problems. The grant funds will be used for STEM/STEAM workshops focusing on the physics of sound and music using littleBits. Students in grades 6, 7 and 8 will explore the rhythmic pulsing of sound – a phenomenon called beats in the world of physics. Students will hear and see beats using the littleBits modules from the Synth Kid and the Arduino models and discover the differences in waveforms and understand the characters of waveforms. Lend a Hand: Grant funding will support 7thgrade students learning about how biomedical engineers create assistive devices for persons with fine motor skill disabilities. Students will learn about types of forces, the relationships between form and function and the structure of the hand. They will design, build and test their own hand “gripper” prototypes and bring their prototype to life by creating an assistive hand device using 3D printing technology. 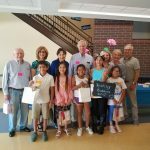 Drones for Good Club: The Drones for Good after-school club will be funded by the grant. Students in grades 6, 7 and 8 will build their own drone, program the drone, research how drones can be used to solve current issues and learn about the rules and regulations of flying drones. Students will increase their problem solving skills, communication skills, collaboration skills and research skills. The students will also continue their participation in annual drone competitions. Grant funding for the Video Technology and Film Club will give students the opportunity to apply skills they learn in all levels of video technology classes. Students will work on special projects for the school and/or community. The club will also participate in film competitions within the school district and the state. Creating film projects will allow students to write scripts, consider basic electrical needs for production, edit layers of video/audio and complete frame editing. As a collaborative art, this will also allow students to develop teamwork skills, planning skills and to troubleshoot as filming is completed and in production. The grant funding will be used to purchase a Designjet printer and a Scan and Cut machine as part of the larger initiative of creating a Maker Space. The Maker Space production lab will have modern tools and equipment allowing students to become creators. Students will engage in STEM-related activities to help them build the problem-solving skills and the capacity for content exploration needed to succeed in the working world. The goal is to increase, by at least 35%, the number of teachers using effective inquiry or project-based learning assignments and to actively engage at least 500 students in STEM-related projects for their classes through the Maker Space technology. This engagement will take place before/after school, during lunch and free time, as well as subject class periods.